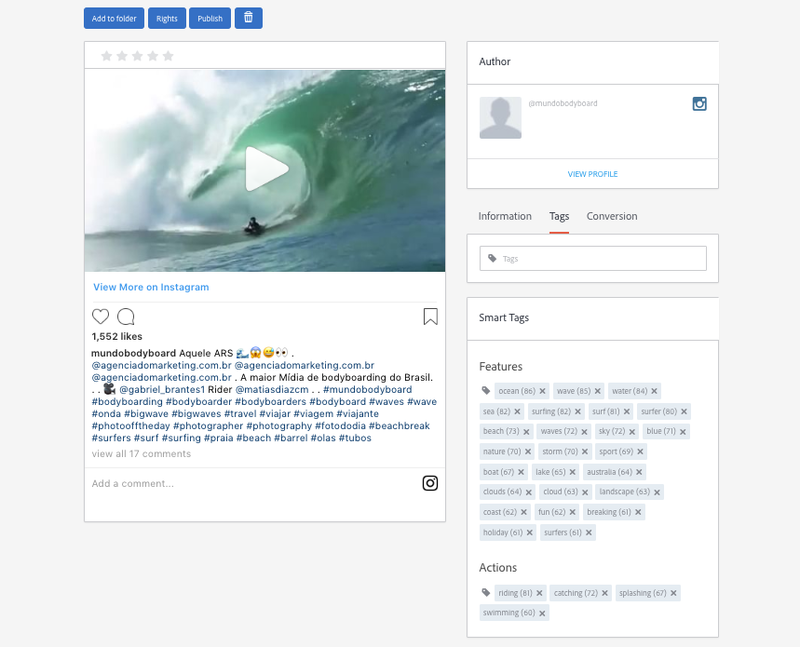 A new Adobe video auto-tagger—an effort across Adobe Research, Sensei & Search, Stock, and Livefyre—does the tagging work for you. The feature has now shipped in Livefyre and has garnered online media attention. The Livefyre feature, known as Smart Tags for Video, is part of Adobe Experience Manager (AEM). It’s capable of automatically generating tags for the hundreds of thousands of user-generated video clips passing through the Livefyre system each month. User-generated video is an enormous source of content on the web: Last year, YouTube users alone uploaded 300 hours of video per minute. Marketers are eager to tap into this vast pool and understand its contents better. Adobe’s Smart Tags for Video produces two sets of tags per clip. One describes around 150,000 classes of objects, scenes, and attributes, and the second corresponds to actions such as running, surfing, or eating. The machine learning network behind the tool was trained on images and videos from Adobe Stock. To give this technology context, Santiago Pombo (Senior Product Manager, Livefyre) wrote a blog post about it on Medium. Check out this VentureBeat story to learn more. The 25th anniversary Adobe TechSummit offered a platform to many Adobe Research scientists and engineers to share their work and vision for the future. Virtual reality researcher Stephen DiVerdi's ideas get put into action in Adobe products: "You help write the code. Adobe Research is collaborating to find new ways to protect our privacy from video-enabled in-home devices.